From UFOs hovering over holy sites to mermaids frolicking off Mediterranean beaches, Haaretz takes a look at the funniest - and also most crass and potentially war-provoking - pranks perpetrated on or by members of the tribe. In honor of Purim – the most 'liquid' of the Jewish festivals – Haaretz has picked its favorite Jewish and Israeli pranks and hoaxes of all time. Some of them might sound like we made them up – but we promise they all really happened. 1. Dude, is that the mushrooms from last night or a mermaid? Haifa area, 2013: Two American tourists knew that they were coming to the land of miracles, or at least religious delusions. While observing the crashing waves on an overcast day off the Haifa coast, they filmed what appeared to be a half woman-half fish upon a rocky outcrop, flapping around before swiftly retreating back into the water. This followed a number of other alleged mermaid sightings in Kiryat Yam, whose town council subsequently offered a $1 million reward to anybody proving her existence. No, it wasn’t a Hebrew-speaking Ariel, only a crude forgery. Skeptics cited the clip's suspiciously super-steady camera work, yet blurry visuals of the alleged maiden of the mer herself, not to mention the unlikeliness of such a mythical creature rearing its scaly tail. In any event, Kiryat Yam’s mayor hasn’t made any recent statements promoting the town’s cash sea-cow. 2. Single light bulb for entire city? Israel, 1981: On the eve of the Knesset elections, Likud Party candidate Yaakov Meridor made a startling announcement: an Israeli scientist was on the verge of perfecting a revolutionary energy production method. 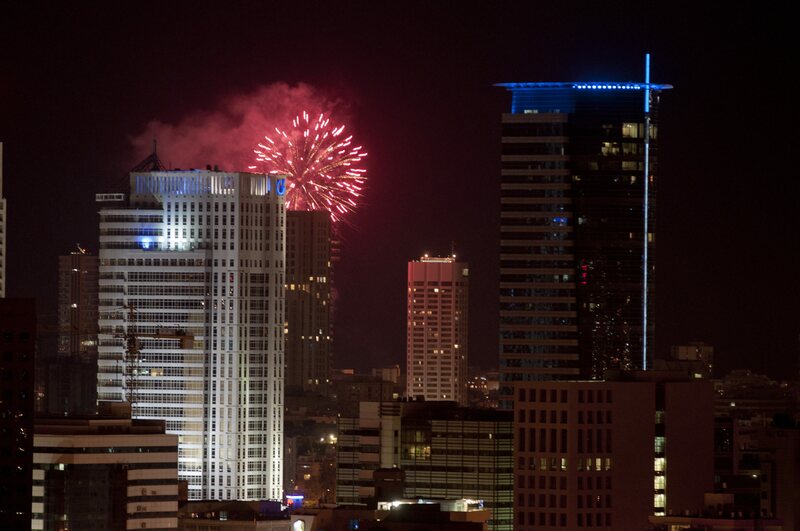 “It’s like taking a regular home light bulb and electrifying an entire city like Ramat Gan,” Merridor explained, referring to a city of over 100,000 people. Yeah. Even for a country that invented the disk-on-key, anti-missile domes and cardboard bicycles, a bulb that could "light Ramat Gan” is a bit much. Meridor had been taken for a ride. Nine months after the election, when he was already serving as Economy Minister, Meridor finally announced that the invention was ready. Amid the media frenzy that followed, it was revealed that the man behind the bulb (which was getting a lukewarm reception from experts) was Danny Berman – a known crook who had been convicted of various acts on fraud. During the Yom Kippur War, Private Berman had even been caught wearing a captain's uniform. Meridor went from being a possible successor to Prime Minister Menachem Begin to a laughing stock, but, in the best tradition of Israeli politics, refused to resign. Israel, April 1, 1986: Reports that Geneva had agreed to disclose details of hidden Swiss bank accounts held by Israel’s über-rich were met with excitement both in the hallways of the Knesset and in falafel stands across the country. Two Knesset members speculated that the tax derived from these clandestine accounts would enable the vote-mongering repeal of unpopular taxes. Ching-ching for the overtaxed Hebrew masses! Unfortunately for the groaning Israeli taxpayer, it was nothing more than mischievous Israel Radio engaging in some April 1 tomfoolery. But their prankish broadcasts scared so many citizens who really do hold secret Swiss piggy banks into calling the station, that bosses did not even wait until the end of the newscast to admit that the story had been an April Fools' joke. 4. Take that, evil terrorist! Oops – take it back, rogue intelligence analyst! Lebanon/Israel, April 1, 1986: Four years after Israel’s invasion of its northern neighbor, with the Levant as usual a sparking powder keg, Israeli Radio reported the attempted assassination of Amal leader Nabih Berri. 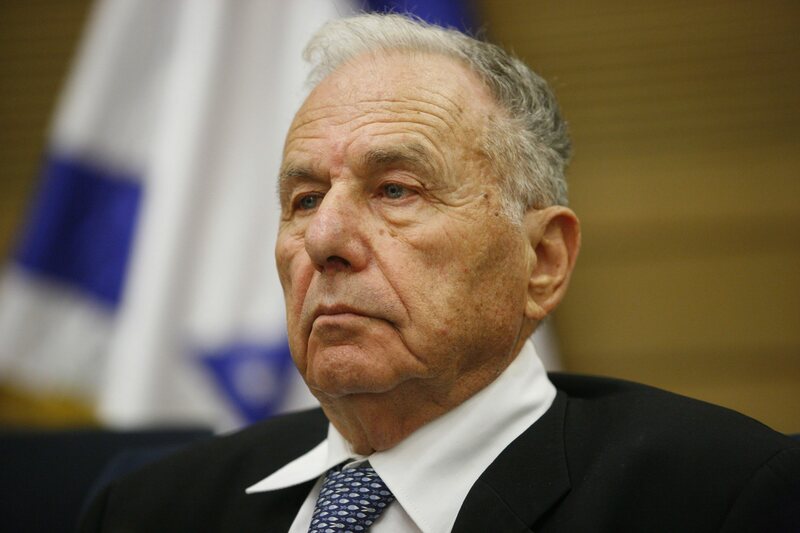 Defense Minister Yitzhak Rabin promptly barged in on a meeting of the Knesset’s Defense and Foreign Affairs Committee to inform his colleagues of the Jewish state’s justified actions against terrorist organizations. Despite Rabin’s announcement, it all turned out to be an embarrassing – and potentially war-starting – April Fool’s joke by an Israeli intelligence analyst with a poor sense of humor and an apparent desire to see the inside of a top-security prison cell. But there is something deliciously ironic in the fact that the same radio station which pranked its own listeners was taken in by this sensational news item. 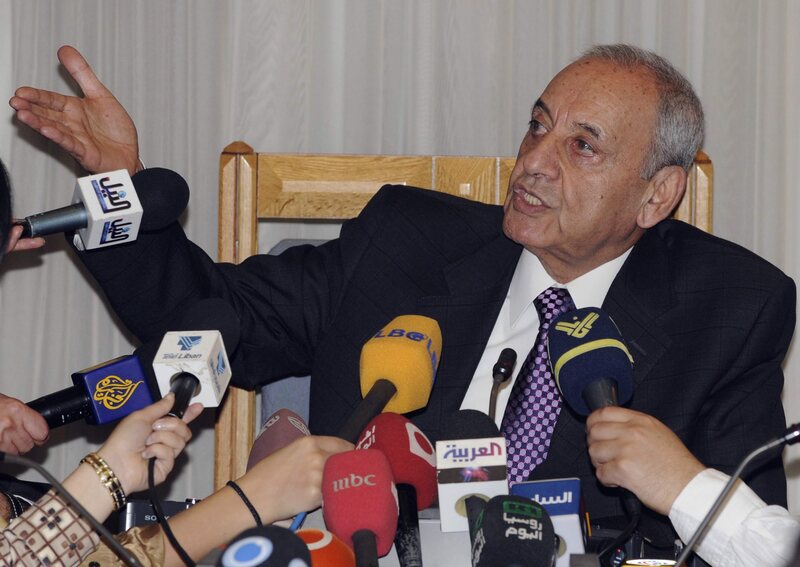 Berri, still very much alive, is now the speaker of the Lebanese parliament. Jerusalem, 2011: Videos seem to capture a UFO hovering over the Temple Mount in Jerusalem, triggering an online sharing frenzy. A glowing object descends over the Dome of the Rock before shooting away in a blaze of light. Among the explanations offered is that, after mistaking the Islamic holy site for a pan-galactic spacecraft docking station the aliens rocketed over to Turkey, attracted by the far more promising Blue Mosque in Istanbul. Well, if an alien spaceship had hovered over a city of 800,000 mobile-phone addicts there wouldn't be two clips, there'd be thousands. Then there’s the pesky matter of why the spacecraft didn’t reflect light off the dome’s gold plating. Low and behold, the alleged UFO sighting was untrue. It soon turned out that Eligael Gadliovich, the man behind the video, was a professional photography with a movie company. And the 'corroborating' footage? Shot by film students attending a course with an actor who had appeared in one of Gadliovich movies. Jerusalem, 2000: A hush fell over the Israeli’s parliamentary plenum as a melancholy Knesset Speaker Avraham Burg announced the passing of beloved politician Amnon Rubenstein. People throughout the rambunctious Israeli political spectrum listened silently to the emotive eulogy, pausing to contemplate the ephemeral nature of life. Actually, Rubenstein was alive and kicking and still is, writing regular op-eds, researching and lecturing. It was a hoax perpetrated by transvestite celebrity Zalman Shoshi, who called the Knesset posing as a neurologist ringing to break the bad news. The prankster labeled his antics as a cry for psychiatric help, which the State, after weighing criminal charges, ultimately provided. Orlando/Tel Aviv, 2012: A 9-year old Israeli girl was reportedly snatched from her parents, drugged, her head shaved and then abandoned in a bathroom in the heart of the Mouse Kingdom. The theme park was shut down as police scoured the sprawling complex. While attacks on children are all too common, this particular case was urban legend – that one evidently source-phobic Israeli TV journalist latched onto. From Channel 10 the story caught on like wildfire in the Hebrew media. The girl’s "father" was even quoted, and a very Disney happily-after concocted, ostensibly showing CCV footage of the family's reunion. The TV correspondent was suspended.